Easter Daffodil Banner - I was looking on Google, as I can usually be found doing, and came across a Beatrix Potter Easter wreath. I was taken by the daffodils (even though there is not a very good picture of them to be found at all!!) and thought I could make something similar with the Floral Framelits! So, as my darling daughter destroyed my craft room - I wish I was joking, or it was only for alliterations sake, but sadly NO - I played around and came up with this banner! Daffodils and Narcissi - Spring is Here!! The Pearls may be my favorite accent... the butterflies pop nicely too, though! Every letter has pearl accents. I love the finished product! 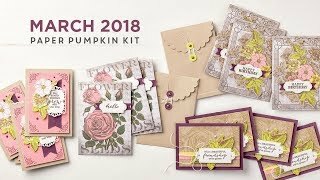 The flowers are cut with the Stampin' Up! Floral Framelits on the Big Shot, using the two largest dies on Crushed Curry and Whisper White Card Stock. The centers are punched with the Scallop punches and popped up a little with Stampin' Up! Dimensionals. I used the Beautiful Wings Embosslit Die for the butterfly accents in Melon Mambo. Some little flowers are added with the scallop from the Punch Pack, accented with Basic Jewels Pearls - which I also used to accent the cross on the letter T. The cross is die cut with the Lattice Die, then trimmed to shape. The banner pennants were cut from Garden Green Card Stock. The letters were cut using my Silhouette Cameo and Pool Party Card Stock. Not bad for a #crafternoon project! 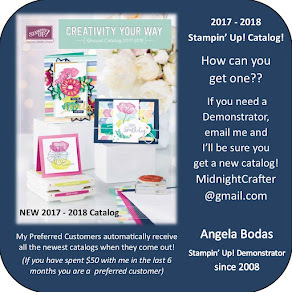 I made it, and I can show you how - come to one of my events, or set up a private class! I'd love to share ideas with you, and help you bring your ideas to life.